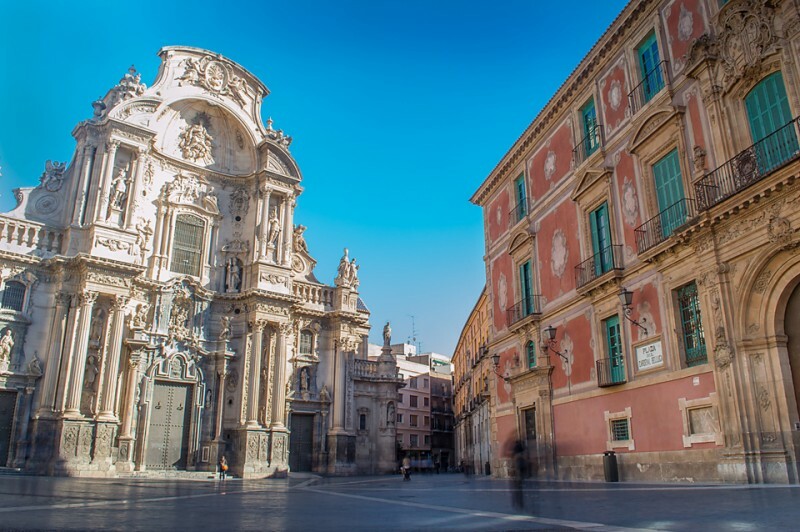 Did you know that Murcia is a city full of secrets waiting to be discovered. An essential place to visit is the Cathedral Church of Saint Mary in the city. Created in 1394 on the site of a former mosque, this impressive building has many Renaissance and Baroque elements, although its interior is fundamentally Gothic.The facade is considered a masterpiece of the Spanish Baroque. The bell tower rises to 95 meters (312 ft) took more than two hundred years to build with the involvement of many different architects. Inside the cathedral are 23 chapels of different styles. The Vélez Chapel is Flamboyant Gothic and has a vaulted ceiling with star-shaped skylights. The Chapel of Junterones, is one of the great works of the Spanish Renaissance. You can also visit the museum located in the old cloister, built in the 14th Century, where you can see the evolution of the building over three centuries of its history. Plaza de las Flores and Santa Catalina is one of the highlights of Old Spanish city. Located in the centre of the main. La Plaza de las Flores consist of two plazas: the Plaza de Santa Catalina and San Pedro Square, creating a single space. Many bars and restaurants are located in the Plaza de las Flores offering different types of cuisine with tapas from the typical fishing, Galician octopus, shrimp cakes, and much, much more. A walk through the historic centre of Murcia can discover the most emblematic streets of Murcia next to River Segura, that has conserved the names of the guilds that were there, such as the commercial streets called Platería (silversmith), Trapería (Clothes shop) and Vidrieros (Glaziers). 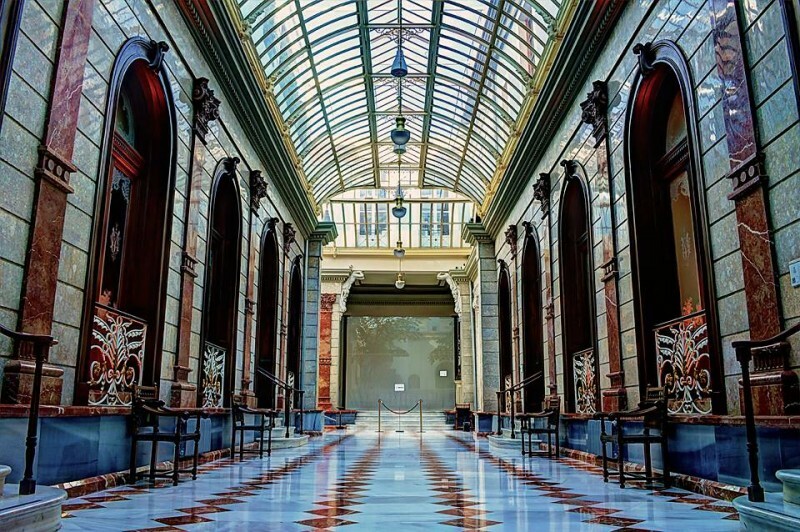 The 19th century buildings which are notable in the city are the Town Hall, the Romea Theatre and the Casino that has a neoclassical façade and a beautiful inner courtyard with Islamic influences. The Santa Clara Museum, which is part of the Monastery of Santa Clara La Real, offers an important set of Andalus archeology located in the halls of an ancient Islamic palace of the thirteenth century. The Sacred Art section houses works of art from religious and monastic character belonging to the Franciscan Order of Santa Clara and a must for the Islamic legacy in the city. In the same square where the cathedral is located, is another building of singular beauty. 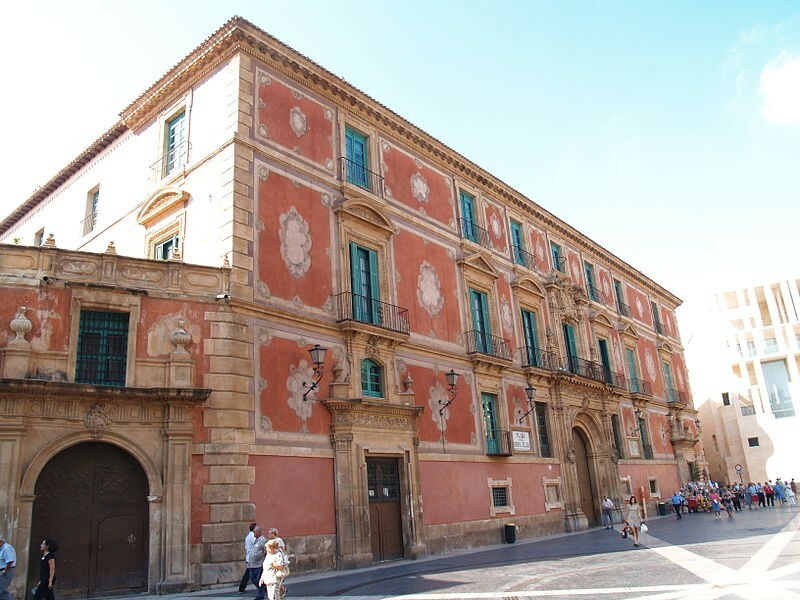 The Episcopal Palace, seat of the Diocese of Cartagena, built in the eighteenth century. Nearby we can see the original Church of San Juan de Dios. This Baroque and Rococo circular church with the remains of the Moorish palace mosque from the 12th century in the basement, called Alcázar Nasir. 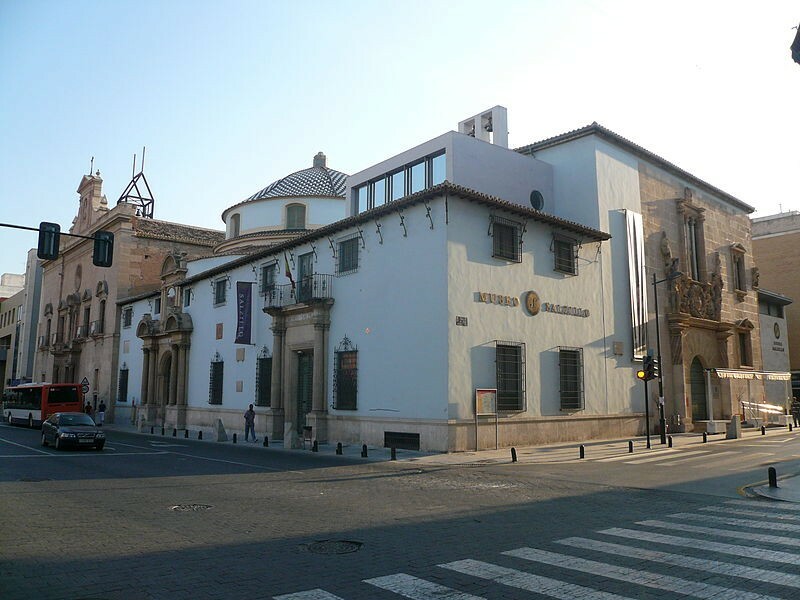 In the park of El Valle found the Shrine of Our Lady of Fuensanta, built on the remains of a medieval chapel and housing the image of the Virgin of Fuensanta, patron saint of the city of Murcia and Orchard. The sanctuary houses nuns who live and work there and can be seen going about their chores when you visit. 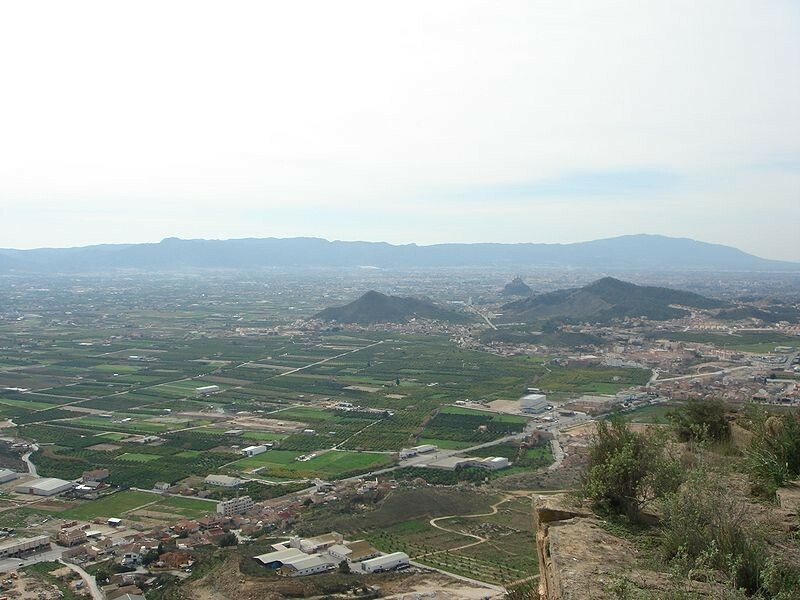 At this time and throughout the month of March the town of Cieza, half an hour's drive from the city of Murcia, offers a tour of the sites of the town to observe the process of flowering fruit trees. 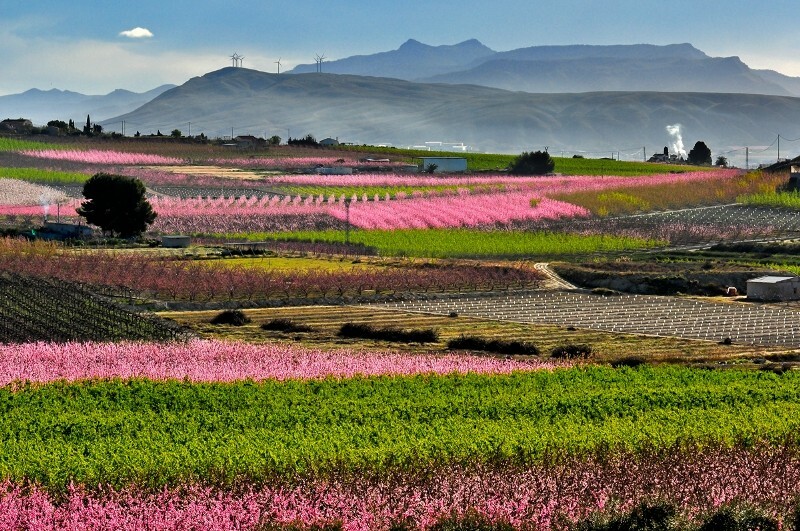 An explosion of colour and fruits ranging from peaches, apricots and plums create a unique visual spectacle in Spain. A mere ten minutes from Murcia and found the Valley Carrascoy, which is the ideal place to practice outdoor sports and hiking. The Regional Park of El Valle and Carrascoy has been a protected area since 1917 and was declared a regional park in 1992. This area is the largest green space in the city consisting of dense Mediterranean pine forests and has some spectacular views of the Murcia region. Murcia enjoys some 4.3 million m2 of park and garden areas in the broadest sense, an area shared out between the capital and the 53 districts that make up the municipal area. The most important gardens, and generally the oldest, are to be found mainly in the various residential areas of the capital.